Obama’s new “tough sanctions” on Iran include a waiver allowing him to let other countries play for time before punishing Iran. President Barack Obama’s new “tough sanctions” on Iran include a waiver allowing him to give other countries to play for time before punishing Iran. The Defense Authorization Act that he signed on Saturday while vacationing in Hawaii ostensibly forces sanctions on countries that deal with the Central Bank of Iran and trade in the Islamic Republic’s energy sector. However, the waiver clause also gives the president the option, which he is almost certain to use, to postpone the sanctions while other countries bide for time. Imposing sanctions immediately could spike the price of crude oil and possibly spark a recession this year, when President Obama is trying to fight off a sharp decrease in popularity months before his campaign for re-election in November. The waiver “is important because the most effective approach is one that involves multilateral participation and is timed and phased to avoid negative repercussions to international oil markets and instead focus pressure on Iran," the White House said. "The provisions signed into law today have that needed flexibility, and we are now working with partners to be in a position to most effectively implement it." 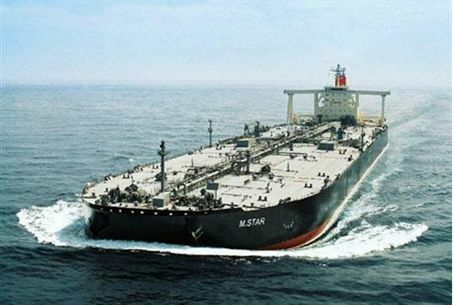 Iran holds an ace up its sleeve – closing the Strait of Hormuz, where tankers carry approximately 40 percent of the world’s oil. The Obama administration has vowed it will keep the water passage open, an action that Iran said would be tantamount to war. Facing the possibility of a war or recession, if not both in an election year, President Obama is likely to refrain from slapping the new sanctions against Iran for an undefined length of time. “And if at any point after sanctions were imposed Obama tried to limit the damage of high energy prices by then waiving sanctions, then he’d be stepping into another trap, one of looking ‘weak’ on Iran.